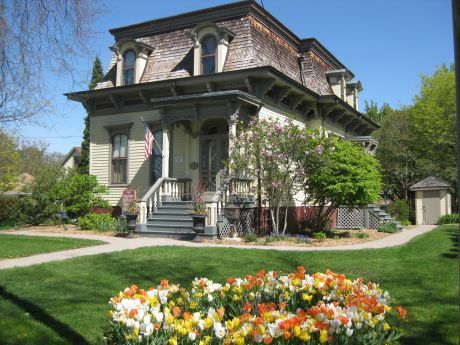 Saturday, October 20 2012, 2 p.m. - 3:30 p.m.
On Saturday, October 20, paranormal investigators will present the findings from their investigations of two historical Palatine locations. “Hunt the Haunted” will be held at Cutting Hall Performing Arts Center located at 150 E. Wood Street, Palatine from 2:00pm to 3:30pm. Hunt the Haunted presenters Cashman and Marshall both teach at Harper College in Palatine. 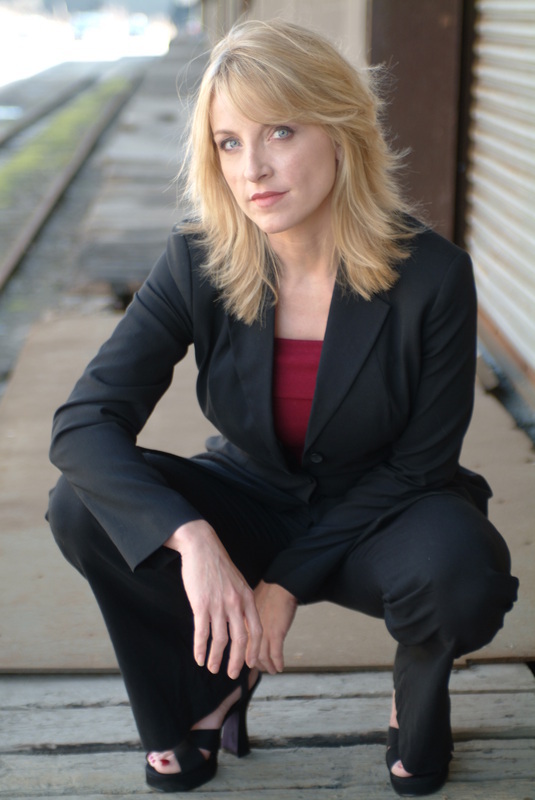 Mary Marshall is the founder and director of The Paranormal MD, a paranormal investigation group. As a paranormal researcher and educator, she has over 11 years experience in the paranormal investigation field and has been researching the paranormal for over 25 years. Scott Cashman, a cultural anthropologist, is also the Continuing Education Manager for Personal and Cultural Enrichment at Harper College. In his classes he provides an overview of the role of spirits across the globe. Mary helped develop, along with Scott Cashman, one of the first Paranormal Studies Program in the country that is taught at an institution for higher education. This puts Harper College in Palatine, IL at the forefront, where she now works as an instructor personally teaching 3 of the many different classes. Her popular classes attract students as far away as Kenosha WI. She hopes that in sharing the knowledge it will create better investigators and researchers, and broaden people’s perspective and understanding of paranormal activity which ultimately will benefit us all. Although her focus is on ghostly type activity, Mary has been drawn to and interested in psychic phenomenon since the age of 14 along with the many aspects of theoretical physics including quantum mechanics. seniors. This show is not recommended for children. For tickets or more information call 847-202-5222 or order online at www.cuttinghall.org. The Cutting Hall Box Office charges a $1 PER ORDER fee for all in-person or phone transactions. Online transactions are $1.50 PER ORDER. No refunds or exchanges. All ticket sales are final. For more information on Hunt the Haunted, contact Cultural Arts Coordinator, Carol Lange, at 847-496-6237 or clange@palatineparks.org. To learn more about Mary Marshall or to find more information or answers to some common questions regarding ghostly activity, go to www.TheParanormalMD.com. For more information on the Paranormal Investigation program at Harper College, visit www.harpercollege.edu. Cutting Hall Performing Arts Center is a facility of the Palatine Park District. The mission of Palatine Park District is to provide a variety of safe, enjoyable and affordable parks and recreation facilities and activities that will enhance the quality of life by promoting good health and well-being for all residents and visitors of the Palatine Park District. My disconnect, maybe much like the elusive entities that I keep trying to communicate with, a disconnect still exists. Nonetheless, I keep trying to learn more and be a better student of the paranormal realm, to be a better observer, to become more genuinely humane towards the other siders. 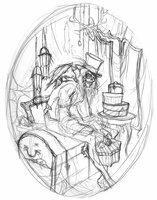 If I can persevere in such a difficult uphill quest of the unknown…and known within the paranormal field, than surely I can start writing again. I believe if I just keep writing, my voice will get louder and more poigent as I hear you…feel you…connect with you. Yes, you, the person reading this article right now. It has occurred to me that disconnect seems to be an almost constant state of being for me. Please allow me to explain. We investigators and the entire field of paranormal study are all about trying to connect the disconnection. We are continuously trying to fix, patch in, and connect with whoever is on the other side. We are always trying to find ways to bridge what seems like an endless gap of space that lay between us and them. We seem to make mountains out of mole hills and we sometimes grasp at straws. However, occasionally, just occasional, we make a break through. We learn, take a tiny step forward, and we accomplish something that creates a connection. I have questioned how the other siders think or feel about their disconnect with us. Are they as equally frustrated? How much energy do they focus on just being heard? Do they wish they could tell us more than they do? How innovative are these entities that they figured out how to get messages to us via our audio recorders. They may want to leave longer, more precise voice messages, but for now, can’t. Maybe in the process of their learning, as much as they try, they simply haven’t figure out yet how to. Even if not understood, at least they’ve made their presence known. It’s a beginning, and if they keep working at bridging the disconnect between them and us, and we keep trying to bridge the gap, than eventually the two shall more permanently meet, and a true connection will have been made. Ahh…maybe I’m overly optimistic thinking a true meeting/connection will take place, but in general, don’t we all want to be heard, don’t we all desire unity, and isn’t connection in some shape or form what all human’s aspire to? A few days ago I received an email form one of my readers, named Rich. His email inspired me to write this blog article. The following is a paragraph from his email to me. I've always wanted to know how spirits experience time. Are they aware of time passing 24 hours a day? Seven days a week? Are they aware of the weeks, months and years since they died? Are Civil War soldiers aware that they've been walking around Gettysburg for over 140 years? If spirits are conscious of time passing the same as we are, it must be incredibly boring for the intelligent variety. There are several theories based in science that indicate that those who have passed from this world, or those entities that exist that were never part of this world, do not have the same understanding or passage of time as we do. 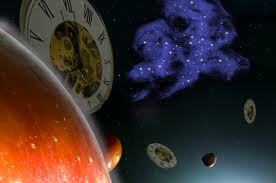 Many psychics and mediums also seem to indicate that time has no meaning to those on the “other side”. Quantum theory not only specifies new rules for describing the universe, but also introduces new ways of thinking about matter and energy. The tiny particles that quantum theory describes do not have defined locations, speeds, and paths like objects described by classical physics. I would think that our development of classical physics which is derived from the nature of our universe and dimensional matter, the existence of time in this plane would only serve us, not them. So it is more than likely from this perspective, that time is basically a non existent form of calculation by the entities. Thus our free floating friends would have no use for “time”. Although they may not experience our time as we do, intelligent entities do seem to have a consciousness and often seem aware of our constraints by time. Those who have died and pass onto to the light, whether you believe that to be heaven or simply another plane elsewhere, may be existing in a different dimension from our own. 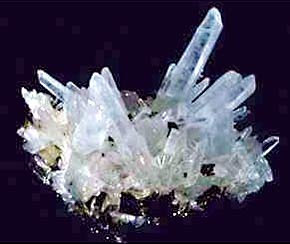 Since they are a free floating energy the constraints we experience with matter would not apply to them. Therefore they would be able to pass back and forth from their realm into ours and visa versa anytime they chose to. Although they are aware of our experiences with the passage of time, they would not experience time as we know it. In a residual haunting that is due to an energy imprint or if it is energy trapped in this realm there is no consciousness. It is simply a form of energy that plays itself out like a looped video. Since there is no consciousness whatsoever there would be no awareness of time or any other matter or thing. If a residual haunting is due to a time slip or a cross over of dimensions, there is a consciousness. However, just like ourselves in this realm, that consciousness is based in their realm and space-time. There is probably 3 different ways a time slip could occur; we notice them, but they do not notice us, they notice us, but we don’t notice them, and then there are the time slips in which we notice each other. Keeping this in mind, that although there is a consciousness by both involved, the awareness of time is subjective. The Gettysburg soldier who is preparing for battle may suddenly see me strolling across the now historic battlefield in the year 2010, and he hears me talking on my mobile cell phone. In his weary state he may rub his eyes thinking he has become delirious or may run in fright because he’s seen a strange in appearance ghost. That same civil war soldier may be at rest in his home when he looks up and sees me sitting in a chair in his home. Putting his fear to the side he may ask me, “who are you, where are you from?” I may not answer because this time slip is only one sided, and I am unaware him and of his time dimension. If it is a mutual, but partial time slip, he may see and hear me, but I may only hear him. If he were to ask me what year is it I would answer 2010, but I would more than likely be unable to answer him as to what year he is living because I simply wouldn’t know. You may have heard the phrase “time slip” used in the past. A time slip could occur if one dimension slips into another. Other term associated with this one is: colliding dimensions, a tear in the fabric of time, time portals, and so on. What all of these have in common is their association with Einstein’s Theory of Relativity and the space-time continuum. These “phrases” also have much more to do with the science of physics than with science fiction as many seem to think. In address this topic and it’s relation to ghosts, or a haunting, and other paranormal activity, I first need to start with a little background information and scientific jargon. I promise to get through this part as quickly as possible so as to not bore you with daunting scientific details. The first thing to note is that as humans in this vast universe our perceptions are quite limited. Within the time-space continuum, we as humans are aware of and experience 4 dimensions, the fourth being the concept that space-time combines space and time within a single coordinate system, typically with three spatial dimensions: length, width, height, and one temporal dimension: time. There also are several proposed space-time theories that include additional dimensions. How many dimensions are needed to describe the universe is still an open question that no one knows the answer to yet. However, let’s briefly explore a couple of these theories now. One excepted theory is that these other dimensions beyond what we consciously know now are copies, but not exact replicas of our own world, our own self. I find this theory particularly interesting, and plausible. However, I believe in the theory that other dimensions are really not different “worlds” or copies of our own, but spatial, and that each dimension would be comparable to what we understand a year of time to be. That “time” as we know it, and live it, is playing itself out accordingly in these other dimensions like our own. It is possible that time does not run linear, but may coexists side by side in other dimensions. As humans our awareness of time and space is usually limited by our own dimensional existence, within our own space and time, and is usually not affected by these other time dimensions. However, if a clash of dimensions were to occur, then we could be witness to time slips. In our minds we pass the years one by one, one after another, moving forward; year 1999, year 2000, and so on. You might compare the passing of time like our use of linear measurements. It’s kind of like taking measurements of an object or space with a ruler. You start with at the beginning and calculate 1 inch at a time and as you move up the ruler in a linear fashion in specific spatial increments… 2 inches, 3 inches, and so on. So let’s use a ruler to represent the passing of time. It will really help if you try to see an actual ruler in your head as I move forth with this explanation. inch number 1 /year 1. In this view, time would start at the beginning in year 1 and move forward one at a time until we reach the end of our existence at year 12 (I know only 12, but just stay with me on this). This ruler represents space-time running linear, in a straight forward sequential motion. We move forward through each inch which represents each year one at a time, remembering our experiences of what has passed as we go. We are aware that more years lie ahead of us, but we have not experienced it yet, thus there is no conscious comprehension of its space. We assume in our conscious, known world we cannot move backwards to what has passed, nor are we able to jump ahead, and that we can only move forward in specific spatial increments. This example is a rudimental analogy of time playing itself out in other (side by side) dimension to our own. It is time (other years past or future) existing in a different “realm” or dimension. If dimensional clashes were to occur, or a tear or portal exists or is accidentally created between dimensions, a time slip may occur. Meaning, we could bump into other living people, etc., and they into us, literally, or figurative and we become witness to oddities we can’t explain. The “other side” is really the same world we live in, but it is just a different year/time than currently in our own realm.…or as described above, like a crossing over into another lane other than our own and visa versa. In the paranormal field we come across what is referred to as ghosts or entities. These “other worlders” may not be ghosts at all but we suspect that some of the intelligent interactions, as well as some of the residual activity may be due to a crossing over of dimensions created by a collision, a tear, or time slip. Some tears or portals may be temporary or permanent. It is possible that some of what we witness is not the dead, but we are witnessing people who are very much alive. People who are living their lives out in a normal timely fashion, just like us, but in their own dimension. And when we come across them with startled eyes and/or ears, because we think they are ghosts, they too are startled by us, and may think we are ghosts. It is even possible while we think of them as ghosts of a time passed and gone, they may view us like we are aliens from the future. So as ridiculous as it sounds, as of now this all does remain a possibility, and no one knows for sure yet what it is that many experience. We are still limited by our own current scientific understanding. However, our limited perspectives according to what we know now should not preclude other possibilities. For if we were to rule out these possibilities than we might as well just label Einstein as nothing more than delusional. With all that has been said, additional dimensions to the ones we’ve come to love and know as our reality may also lend itself to other types of ghostly sightings now known as residual haunts. Residual haunts that some refer to as energy imprints may occur if there is a tear or ripple in the fabric of time, a dimensional tear. It may be possible that this film loop of we see and understand now as residual energy isn’t really residual imprinted energy, but just a glimpse though a specific portal in time into another dimension. It would be kind of like looking at something through a tiny hole or tear. It is impossible to see everything going on all around everywhere and we’d only see a bit or portion from a specific vantage point. If the tear remains open to that specific point in time, it would only be a snapshot of that time, like looking at a photograph or video clip of a moment in time. And although this is all that we see, the fact may be that life is moving along in a full and complete and timely fashion on the other side of this small pin pointed tear, but we just can’t see it. My answer to you is this: As a Christian I believe in the existence of heaven, and since no one in this realm can definitively with proof tell me otherwise, I believe that heaven most definitely exists. It may simply exist in another dimension. I also happen to believe in science and the intricacies of the universe. Webster's Dictionary defines infrasonic, or infrasound, as "1: having or relating to a frequency below the audibility range of the human ear. 2: utilizing or produced by infrasonic waves or vibrations." Infrasound waves hug the ground, travel for long distances without losing strength, and are unstoppable. Not much amplitude is needed to produce negative effects in the human body, and even mild infrasound exposure requires several hours, or even days, to reverse symptoms. 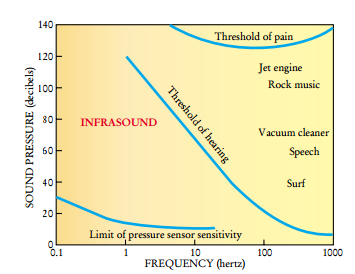 Man-made structures, such as engines, cars, buses, trains, motorcycles, and airplanes also produce infrasound. John Cody noted that pilots exposed to infrasonic vibrations of jet chassis experience a reduction in "vision, speech, intelligence, orientation, equilibrium, and the ability to accurately discern situations, and make reasonable decisions." Depending on the pitch, infrasound can cause physical pressure, or fear, disorientation, and negative physical and mental symptoms. Please note there are varying degrees in the infrasound range and those that cause the most negative and damaging effects is not a common occurrence. Infrasound disrupts the normal functioning of the middle and inner ear, leading to nausea, imbalance, impaired equilibrium, immobilization, and disorientation. Exposure to even mild doses of infrasound can lead to illness. The Infrasound frequency may appear frequently under natural conditions. Infrasound arises when strong gusts of wind clash with chimneys or towers. I’m sure you’ve all experienced this at one time or another during your life. This heavy base sound penetrates even through very thick walls. Such sound waves start rumbling in tunnel-shaped corridors. Some cars are equipped with a boom device known as a burp button. These devices generate large amplitude pressure/low frequency noise. When the “burp button” is used, it activates a low-band pass-filter which forces all of the amplifier's power through the sub-woofer speakers at frequencies lower than a certain number of Hertz. At extremely low frequencies, it becomes infrasound. Thus you feel the blast of noise, as well as hear it. Which may explain why some humans like booming subwoofers in their vehicles and/or homes, and it is not just a “cool and popular” status meaning as we as a society have come to believe. We've all tried to block the sound from these cars when next to them stopped at a traffic light. Rolling up the window to block the sound doesn't work, because you still continue to feel the vibrations and of course, how much it annoys us. Infrasonic vibrations which can be harmful can also be pleasantly stimulating in mild levels. The effects of brief, mild exposure can give a feeling of invigoration for hours. While a person may feel invigorated and euphoric, his body is being subjected to an elevated heart rate, elevated blood pressure, and a release of endorphins which is similar to the "fight or flight" adrenaline response. Feeling the effects of high-intensity/low-frequency sound can actually become an addiction, partially due to the release of endorphins in the body. Physicists studying the effects of infrasound upon the human body have reported that volunteers participating in their experiments complain of weariness, high pressure in the eyes and in the ears, but never mention hallucinations or ghosts. More results from other studies revealed the following. Human reactions to infrasound 20 Hz is considered the normal low frequency limit of human hearing. When pure sine waves are reproduced under ideal conditions and at very high volume, a human listener will be able to identify tones as low as 12 Hz. Below 10 Hz it is possible to perceive the single cycles of the sound, along with a sensation of pressure at the eardrums. The Ghost in the Machine Research by Vic Tandy, a lecturer at Coventry University, suggested that the frequency 19 Hz was responsible for many ghost sightings. He was working late one night alone in a supposedly haunted laboratory at Warwick, when he felt very anxious and could detect a grey blob out of the corner of his eye. When he turned to face it, there was nothing. The following day, he was working on his fencing foil, with the handle held in a vice. Although there was nothing touching it, the blade started to vibrate wildly. Further investigation led him to discover that the extraction fan was emitting a frequency of 18.98 Hz, very close to the resonant frequency of the eye (given as 18 Hz in NASA Technical Report 19770013810). This was why he saw a ghostly figure — it was an optical illusion caused by his eyeballs resonating. The room was exactly half a wavelength in length, and the desk was in the centrer, thus causing a standing wave which was detected by the foil.